The three member Trial–at–Bar comprising Justices Deepali Wijesundara, M. Zurfick Razeen and W. T. M. P. B. Warawewa delivered a dissenting judgment, two to one, ruling that former General Fonseka was guilty of disseminating disinformation that could incite communal hatred, and creating anti-government feelings under Article 28 of the Emergency Regulations, 2005. Justice Warawewa dissented with the majority judgment and questioned the credibility of the primary witness Frederica Jansz, who he stated, “had lied and then said hundred more lies to justify the first lie”. Fonseka allegedly made a statement in an interview held on December 8, 2009 with Frederica Jansz of The Sunday Leader, to the effect that Defence Secretary Gotabhaya Rajapaksa ordered then Brigadier Shavendra Silva, the commander of the 58th Division to shoot surrendering LTTE leaders. Nobody knows what exactly was said during that interview, except Frederica, Lal and Sarath Fonseka. 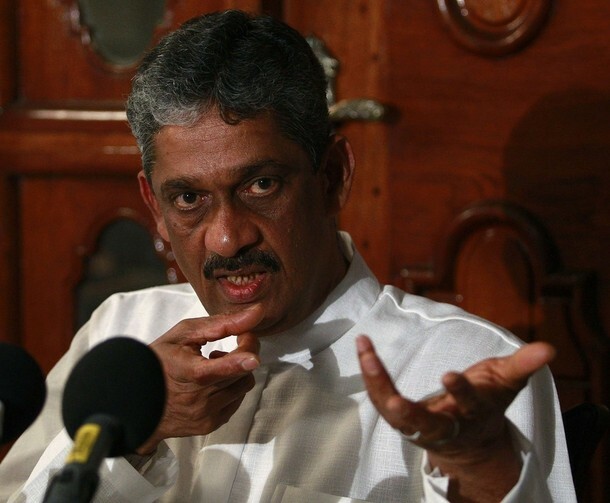 Apart from the lead story published under the title: “Gota Ordered Them to Be Shot” – General Sarath Fonseka, on December 13, 2009 in The Sunday Leader, we now have other evidence to support Frederica’s claim that Sarath Fonseka did indeed tell that story to her. A classified US diplomatic cable from Patricia A. Butenis, the US Ambassador to Colombo states that Presidential candidate General Sarath Fonseka stood by the controversial “White Flag” story published by The Sunday Leader even after it was published on December 13, 2009. The cable written on December 14, 2009 at 1.50 p.m. by Ambassador Butenis and classified as “Confidential” recounts the details of a lunch meeting she had with UNP deputy leader Karu Jayasuriya and Sarath Fonseka on December 14, 2009. What does it mean? This clearly shows us Fonseka stood by Frederica’s story! Unfortunately the Judge would not have had this information. He would also take this into account only if it was part of evidence led in court. So can we say Frederica “had lied and then said hundred more lies to justify the first lie”? What has really happened then? After the story broke, the government began to portray Fonseka’s allegation as an act of treachery. The story of the massacre was irrelevant. What mattered was that by speaking out Fonseka was betraying Gotabhaya, the Army and the country. A government-backed campaign commenced to publicise particularly in Sinhala, a distorted version of the story, and present the General as a traitor. The objective behind the campaign was to convince the General that his accusations were eroding his popularity and to force him to back down in the interest of winning more votes. This campaign began immediately after the newspaper went on sale with radio shows denouncing the story as an act of treachery by early Sunday morning. It was only as the government’s denunciation campaign intensified with TV, radio and internet sites declaring the former war hero a traitor that Fonseka’s advisors Mangala Samaraweera, Anura Kumara Dissanayake and Vijitha Herath in particular advised him to retract part of the story. At a meeting with the Chairman of The Sunday Leader, Lal Wickrematunge on Monday, December 14, senior UNP leaders together with Samaraweera and the JVP insisted that a retraction was necessary as the story had damaged Fonseka’s reputation as a patriot. So, I am not willing to accept Justice Warawewa’s dissenting judgment. Then can we accept the majority judgment? No! I would like draw two points to your attention. Firstly, Fonseka was guilty of disseminating disinformation and inciting violence and offence. So, did violence actually take place because of Fonseka’s statement? The answer is no. So how can one say this judgment is correct? Secondly, an interesting question of law has arisen in relation to the Fonseka White Flag case. Justice W. T. M. P. B. Warawewa reached the age of retirement of 61 years while the case was going on. President Rajapaksa gave him an extension to enable him to continue to hear the case. Legal experts say that the age of retirement of a High Court Judge is fixed at 61 years by section 6 of the Judicature Act and there is no legal provision for an extension to be given. They point out that the Three-Judge Bench was thus not properly constituted and any decision by the bench is illegal. Colombo Telegraph posed the question whether Fonseka’s lawyers raised the issue in Court. One expert stated that the lawyers may purposely not have raised the question, so that the question can be raised in Appeal. “Consent does not give jurisdiction” is a well-known legal principle and maybe the lawyers will raise it in Appeal” another legal academic said. 1. The Sri Lankan Government simply could not safeguard its own 4 star General. It is clearly an indicator to measure the ruling party’s selfishness over the patriotism. 2. In this article the daughter of a 4 star General merely indicated that the Justice system in this country is questionable. I could imagine the state of the ordinary Tamil citizens’ conditions in this country. It is another indicator to note that Justice System is not independent in this country. 3. Another important indicator is that most of the youngsters in this country slowly but surely losing their confidence on the Justice System and seeking and trying to establish the justice by using the outside forces. I think this just goes to show how corrupt the Sri lankan government is. The rest of the world knows this and the tamil people will unfortunately continue to suffer at the hands of the government. How can you call Sri Lanka a Buddhist nation when it does not practice it! Did Gota order the killing of Tamil tiger leaders Shavendra? No comment. Strange how none survived and Praba got shot in the back of his head not to damage his face? Photos released to the public clearly shows that the bullet entered his head near his forehead and exited from the forward top area of his skull. Did Nilanthie carried ot the post-mortem examination to state that he was shot in the back? Sounds like she posts a lot of rubbish because her fingers are free to type without engaging her brain. Lanka politic is a polio tic. opposition in today in polio. Rulers do what they want ? The MR regime is only trying to drag the White Flag case on as much as possible to prevent it from being taken to the International Human Rights Commission, after the Supreme Court judgment is finally delivered. The SC’s judgment too is a foregone conclusion with the 18the constitutional amendment in place. Moreover, some of the SC judges themselves already stand bribed – the CJ’s hubby has been given a political appointment as the Chairman of a state bank (NSB), for instance. This guy also happens to be a director of Lanka Hospitals (Apollo Hospital) where Gota is the Chairman. Then, one of the cardinal principles of democracy has been violated – separation of powers, that is – with the Attorney General’s Department having been taken over by the Executive. So much for justice in Sri Lanka. Mahinda Rajapakse is trying to govern the country by crook and want to pass his inheritance to his son. He want his family members to get rich by corruption. You can see most of powerful ministers and ambassadors are his family members. All other SLFP people are given some chance to get corrupt so MR can punished them in case of dissent. He want have weak Opposition and supports person like Ranil who beleives that post of leader of the opposition and it’s perk are more than enough for him. Cancelled out politician like Mangala, Ravi karunanayka, john are around him as they have no other way. Under cross-examination in the High Court, Jansz said Lal Wickrematunge , chairman of Leader Publications (Lasantha’s brother) asked Fonseka who was responsible for killing Lasantha. Jansz said that she “did not pay attention to what was said by Fonseka in response to that question”. She said that she normally did tape recordings of interviews but the paper’s recorder had been given to someone going to interview the Western Provincial Council minister. I do not know whether she lied as the judge said, but her behaviour was very strange. She DID NOT BOTHER TO LISTEN TO THE ANSWER WHEN FONSEKA WAS ASKED IF HE HAD KILLED LASANTHA! This is a professional journalist??!! Who spent the night in the election comissioners office sending ballot boxes to temple trees for final tampering. Deport this girl for asking where is Basil? He was asked to – to avoid suspicion!! In any case Judge “Madam” Deepali will be back on the bench to send Honourable General Sarath Fonseka, M.P. to a “death sentence” Wake up people, wake up!! VOTING won’t help, it will ALWAYS be rigged?? Find an appropriate alternative to wipe this corrupt regime. Then why did Fonseka thank him? Actually, this is a ruse adopted by most lawyers. If you think the court is illegally constituted and you bring it up, then the mistake is corrected. On the other hand, if you keep mum and raise the question in appeal, then the mistake cannot be corrected. I am not aware about the facts of Judge Warawewa’s retirement. But in most such cases lawyers adopt this tactic. If the prosecution is not diligent, why should the accused point out the mistake? Another such tactic of lawyers is when in the lower court the Police forget to file a formal charge sheet. In a bad case, the lawyer would quietly find out whether the charge sheet is in the case record. If there is no charge sheet, the lawyer would still go ahead and fight the case and point out the deficiency after all the evidence has been led. Then it is too late to correct the mistake. For those who do not know. The retirement age of Judges is 65 like other Government Officials in the upper echelons. The President has the right to compose a bench of even older Judges if he wishes to. But that is not the point. The actus reus is “inciting”. The fact that he put the opinion of many against Sri Lanka and her government cannot be disproved. It is what is called an inchoate offence and there does not have to be a result such as a riot. The wrong opinion of the public in Sri Lanka and Internationally is sufficient proof to show that detriment was done to teh reputation of the Sinhalese and the Buddhists. “They murdered in cold blood”. The world is not interested in whether the men who were shot were the members of the worst terrorist organisation who murdered innocent women, children, the elderly. The United Nations, owned by the British, French and the Americans did beat their breasts and cry out loud asking for an investigation. Was that not enough proof that Fonseka let not only his country but himself down. When war criems are committed only the members with vetos and Israel have immunity. So Fonseka fell for the trap hook line and sinker. He will now have a lot of time to repent.